I am currently working on-site at Trading Depot on a regular basis, helping out with business consultancy and web site promotion. On my recommendation, they now have a full time web developer working for them and implementing changes and updates. It was great going back in after a short holiday and taking stock of how much progress the company has made since it was launched on-line in March 2008. 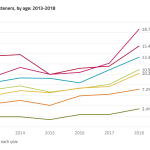 The company is still growing strongly and progressing very well indeed – a great story in today’s tough economic climate. Chalfont Web Design launched a new web site last week for a customer in Chalfont St Peter – Fruitful Blooms. 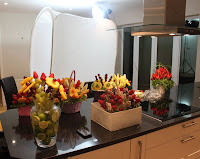 The client required a web site to launch and promote their fruit bouquet and chocolate bouquet business. Chalfont Web Design took the majority of the photos and cleaned them up in Photoshop and loaded to the web site with an ability to load to a larger size for close up viewing. Keep checking back for more blog posts, we are launching a number of new web sites soon – all varied subject matter but very interesting. The first web site ever constructed by Chalfont Web Design was for a local hockey club – Chalfont St Peter Hockey Club in around 1996. 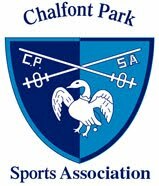 We have just updated the main parent web site for Chalfont Park Sports Association. We will now be updating the hockey web site though this will be through a separate sports CMS. The CPSA web site was designed in CSS with updated images and a password protected minutes section. Actinic is an extremely flexible and customisable ecommerce package with a number of third party add on’s to compliment it. 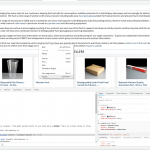 We will now for example be integrating ebay shop export and import capabilities. 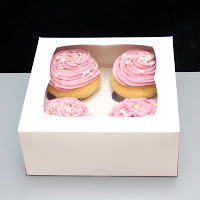 The Cater For You site currently features almost 1000 products including plastic glasses and with new products being added all the time such as the cupcake boxes. We are working on an interesting project at the moment for fruit bouquet’s made of various fruits and sometimes dipped in chocolate. Great alternative to flowers, fabulous arrangements and good for you!! Here’s the work in progress of photographs being taken. Just launched is a web site for a company called H D Services based in Ashley Green. This was an extremely interesting web site as it show cases their specialism of turnkey open loop ground source heat pumps installations. They are a specialist at installing in the South East of England and can provide genuinely year round green energy for heating and air conditioning. Features of the web site includes a blog, css build and a photo taken by Chalfont Web Design and used as the Banner at the top! The site will develop over time with more images and also news updates as the industry is fast moving and growing. The LivCom Awards were launched in 1997 and are endorsed by the United Nations Environment Programme, (UNEP), with which it shares a Memorandum of Understanding. 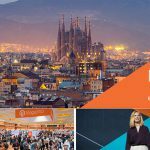 The LivCom Awards is the World’s only Awards Competition focussing on International Best Practice regarding the management of the local environment. The objective of LivCom is to develop and share International Best Practice, with the further objective of improving the quality of life of individual citizens through the creation of ‘liveable communities’. Chalfont Web Design has been working with them for over five years maintaining their web site and this month relaunching it. From a design point of view it features a full CSS design, embedded video and lightbox expanded images. Happy New Year to all of my readers. I trust you had a good break over the festive period and that business has been good for the first week of trading. We have been exceptionally busy in the last few weeks finishing web sites and meeting new and existing customers to talk about their plans for 2011. As soon as we have launched them, we will post on our blog straight away. Chalfont Web Design currently uses Fasthosts as its default web hosting provider. The good news for some of our clients is that they are upgrading their control panel and domain name management services in early 2011. This will be useful for all our blogger customers so we can use cname to update the location of the blog after blogger suspended the publish to web site via FTP earlier this year (hence for example this blog being on a blogspot domain name). We will upgrade our customers as soon as this becomes available so for example this blog will become located at blog.chalfont-web-design.co.uk instead of the blogspot. We have undertaken a lot of work recently including updates to the Grant and Stone web site – including the Dimplex ecommerce section and adding some new MK Consumer Units and MK MCB’s – there is still plenty of work to do on this and the new Wylex section. Other work includes adding to the Moeller site for CSE Distributors, Business Cards for Cater For You and a few other projects we cannot release information about yet. One of the best features of Actinic V10 is the ability to convert the extended information page to a single product per page with add to cart button – it was previously (V7 and before) just a pop up box for a larger image and some detail. With some customisation, you are able to put multiple images on the page and also ‘lightbox’ to enable them to be enlarged again. We have used this again today on an updated Bristan Java page for Grant and Stone. This does take some time though, acquiring the text information and sourcing several images and manipulating them to suitable sizes – quite a project. With regards images, we have also noticed that Google is using the Alt tag as part of the way of indexing a page. We noticed on a page where we put an Alt tag and no other reference to a product and the page was listed – which was rather surprising.